The Germans inside the pocket retreated from the suburbs of Stalingrad to the city itself. The loss of the two airfields, at Pitomnik on 16 January 1943 and Gumrak on either 25 January, or the night of 21/22 January, meant an end to air supplies and to the evacuation of the wounded. The third and last serviceable runway was at the Stalingradskaja flight school, which reportedly had the last landings and takeoffs on the night of 22–23 January. After daybreak on 23 January, there were no more reported landings except for continuous air drops of ammunition and food until the end. The Germans were now not only starving, but running out of ammunition. Nevertheless, they continued to resist stubbornly, in part because they believed the Soviets would execute any who surrendered. In particular, the so-called "HiWis", Soviet citizens fighting for the Germans, had no illusions about their fate if captured. The Soviets were initially surprised by the number of Germans they had trapped, and had to reinforce their encircling troops. Bloody urban warfare began again in Stalingrad, but this time it was the Germans who were pushed back to the banks of the Volga. 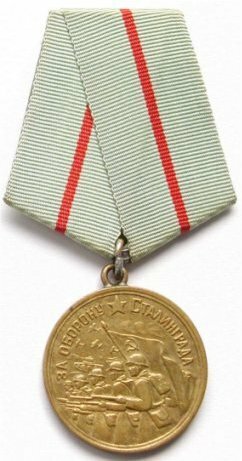 They fortified their positions in the factory districts and the Soviets encountered almost the same tooth-and-nail ferocity that they themselves displayed a month earlier. The Germans adopted a simple defense of fixing wire nets over all windows to protect themselves from grenades. 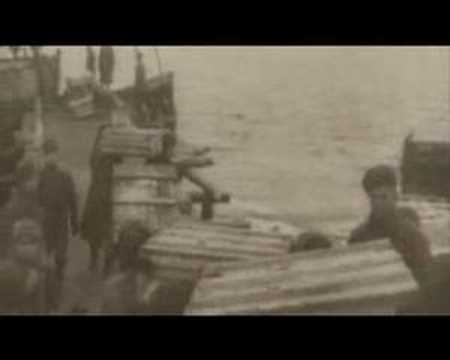 The Soviets responded by fixing fish hooks to the grenades so they stuck to the nets when thrown. The Germans now had no usable tanks in the city. Those tanks which still functioned could at best be used as stationary cannons. The Soviets did not bother employing tanks in areas where the urban destruction restricted their mobility. A Soviet envoy made Paulus a generous offer on honourable terms: if he surrendered within 24 hours, he would receive a guarantee of safety for all prisoners, medical care for the sick and wounded, prisoners allowed to keep their personal belongings, "normal" food rations, and repatriation to whatever country they wished to go to after the war—but Paulus, ordered not to surrender by Adolf Hitler, did not respond, ensuring the destruction of the Sixth Army. Generalfeldmarschall Friedrich Paulus (right) and his aides, Generalleutnant Arthur Schmidt (middle) and Wilhelm Adam (left) after their surrender. 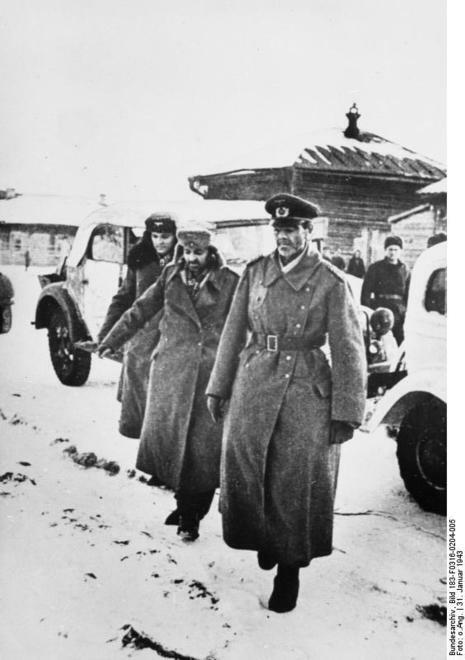 On 30 January 1943, the 10th anniversary of his coming to power, Hitler promoted Paulus to Generalfeldmarschall. Since no German Field Marshal had ever been taken prisoner, Hitler assumed that Paulus would fight on or take his own life. However, when Soviet forces closed in on his headquarters in the ruined GUM department store the next day, Paulus surrendered. 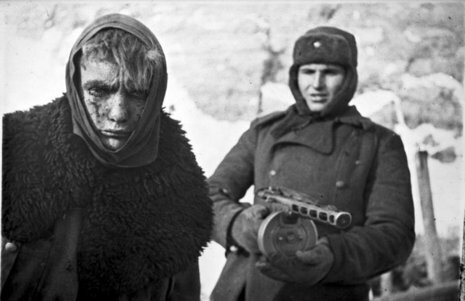 The remnants of the Axis forces in Stalingrad surrendered on 2 February; 91,000 tired, ill, and starving prisoners were taken, including 3,000 Romanians, the survivors of the 20th Infantry Division, 1st Cavalry Division and “Col. Voicu” Detachment. To the delight of the Soviet forces and the dismay of the Third Reich, the prisoners included 22 generals. Hitler was furious and confided that Paulus "could have freed himself from all sorrow and ascended into eternity and national immortality, but he prefers to go to Moscow." The German public was not officially told of the disaster until the end of January 1943, though positive media reports had stopped in the weeks before the announcement. 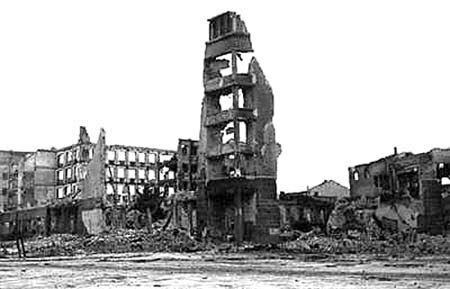 Stalingrad marked the first time that the Nazi government publicly acknowledged a failure in its war effort; it was not the first major setback of the German military, but the crushing defeat where German losses were almost equal to those of the Soviets was unprecedented. Prior losses of the Soviet Union were generally three times as high as the German ones. On 31 January, regular programming on German state radio was replaced by a broadcast of the somber Adagio movement from Anton Bruckner's Seventh Symphony, followed by the announcement of the defeat at Stalingrad. On 18 February Minister of Propaganda Joseph Goebbels gave his famous Sportpalast speech in Berlin, encouraging the Germans to accept a total war which would claim all resources and efforts from the entire population. 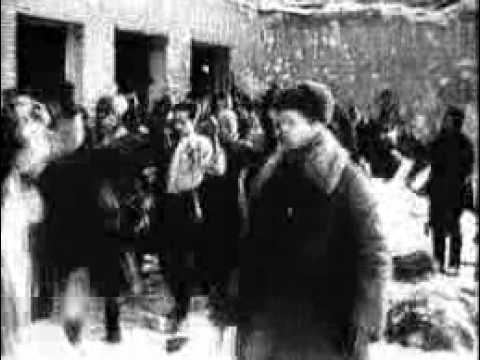 According to the German documentary film Stalingrad, over 11,000 soldiers refused to lay down their arms at the official surrender, presumably believing that fighting to the death was better than a slow end in Soviet camps. They continued to resist, hiding in cellars and sewers, but by early March 1943, the remaining small and isolated pockets of resistance had surrendered. According to Soviet intelligence documents shown in the documentary, 2,418 of the men were killed and 8,646 captured. Of the more than 500,000 Germans, Italians, Romanians, and Hungarians taken prisoner, few ever returned to their homes. Of the 91,000 German prisoners, only about 5,000 ever returned. Already weakened by disease, starvation and lack of medical care during the encirclement, they were sent to labour camps all over the Soviet Union, where most of them died of disease (particularly typhus), cold, overwork, mistreatment, and malnutrition. Some were kept in the city to help with rebuilding. In March 1943, 40,000 Germans were buried in a mass grave, victims of a typhus epidemic. A handful of senior officers were taken to Moscow and used for propaganda purposes, and some of them joined the National Committee for a Free Germany. Some, including Paulus, signed anti-Hitler statements which were broadcast to German troops. Paulus lived in the Soviet Union until 1952, then moved to Dresden in East Germany, where he spent the remainder of his days defending his actions at Stalingrad and was quoted as saying that Communism was the best hope for postwar Europe. General Walther von Seydlitz-Kurzbach offered to raise an anti-Hitler army from the Stalingrad survivors, but the Soviets did not accept. It was not until 1955 that the last of the handful of survivors were repatriated after a plea to the Politburo by Konrad Adenauer.